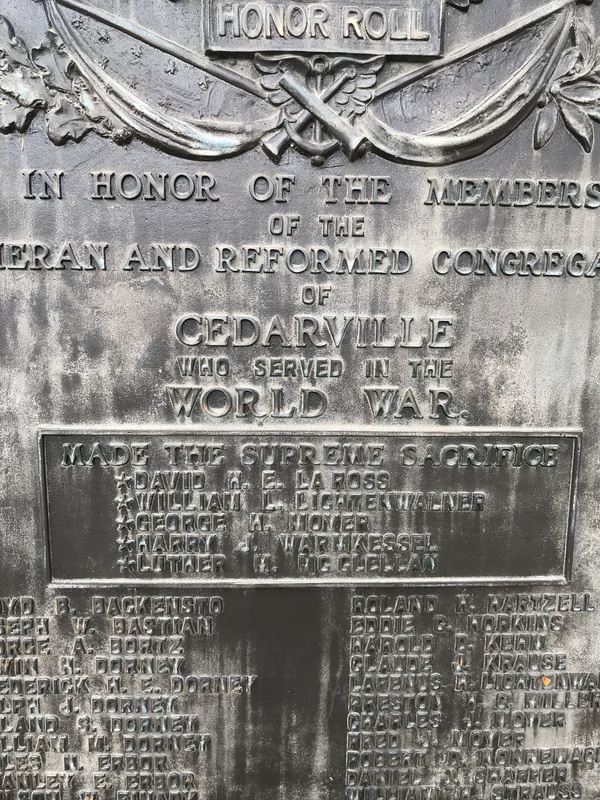 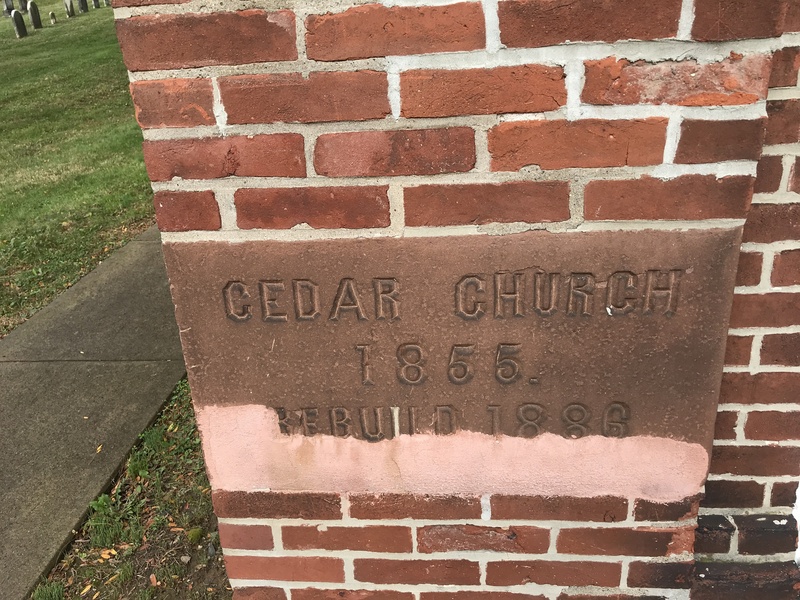 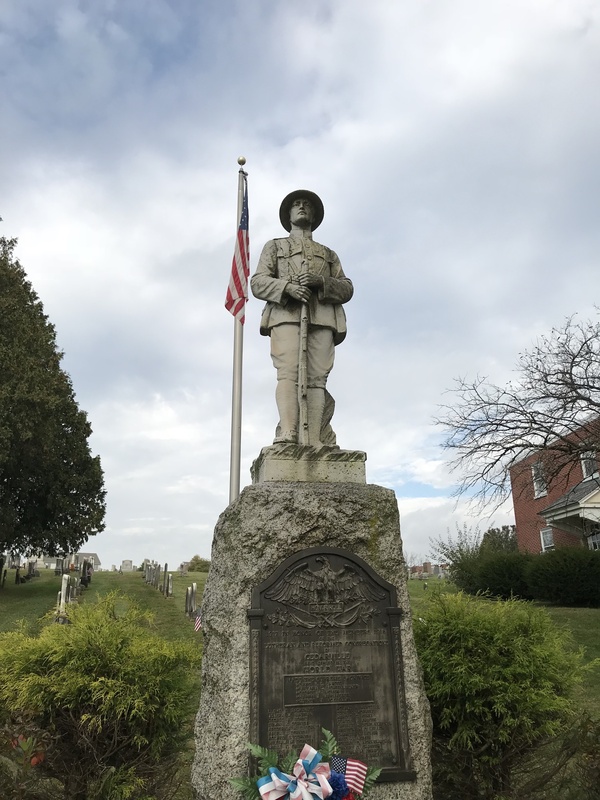 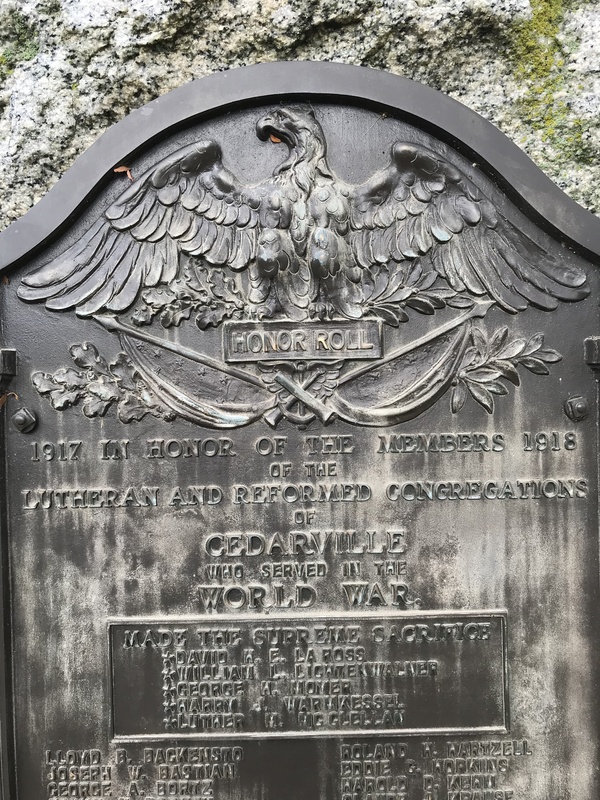 A memorial in honor of the members of the Lutheran and Reformed congregations of Cedarville (now known as Cetronia) that features a bronze honor roll affixed to a rough-cut granite slab, atop of which perches a stone doughboy statue at parade rest. 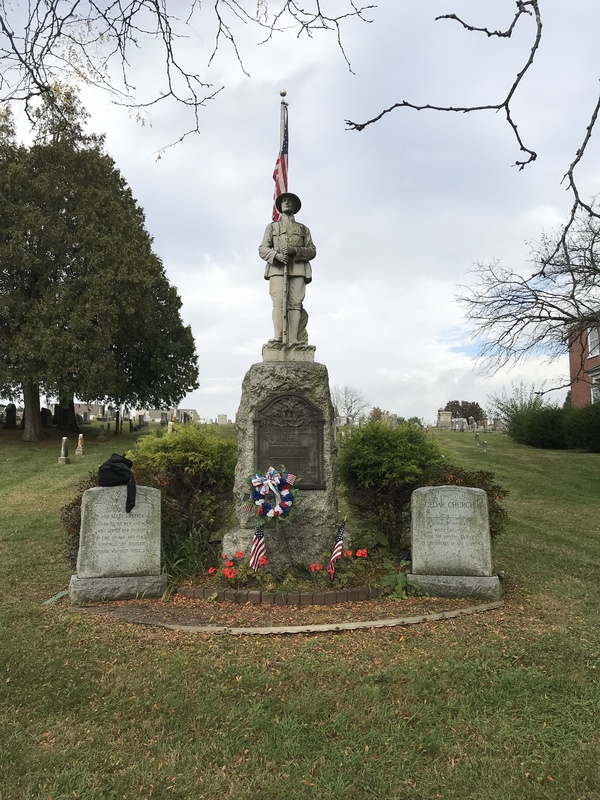 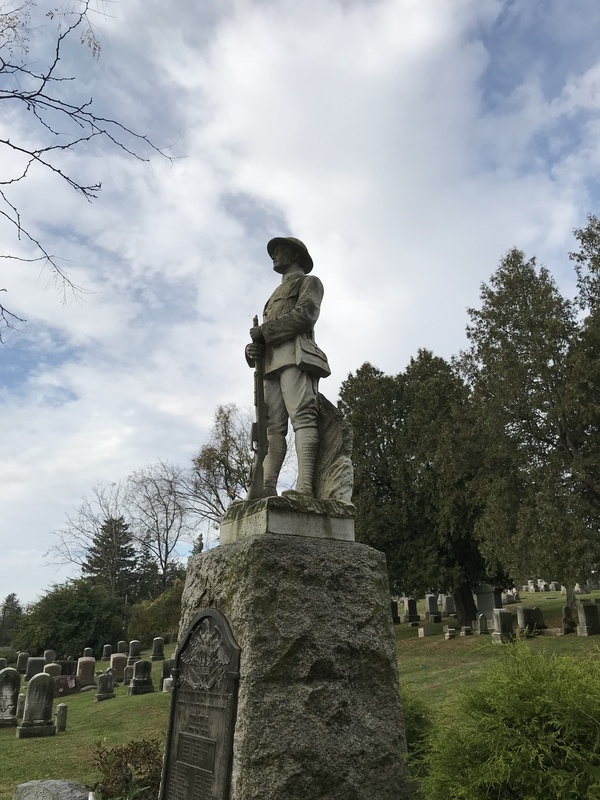 The memorial is located at Cedar Church Cemetery. 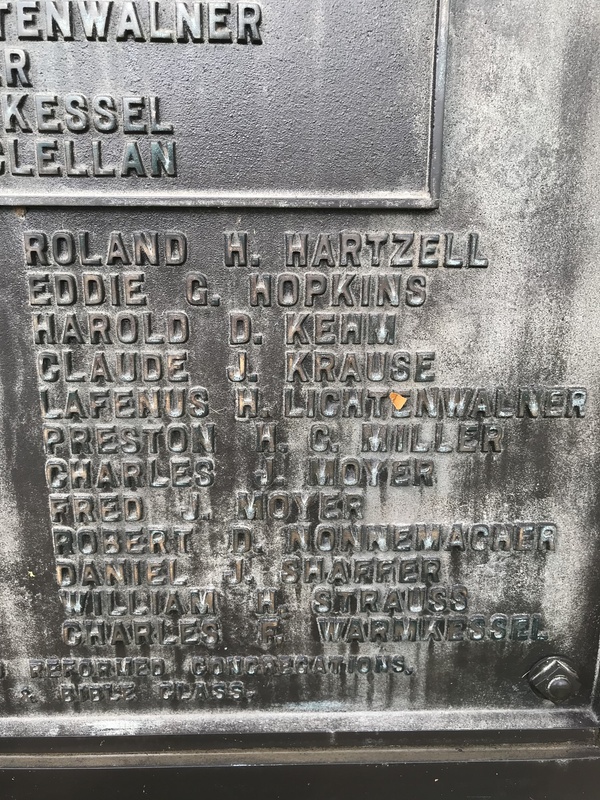 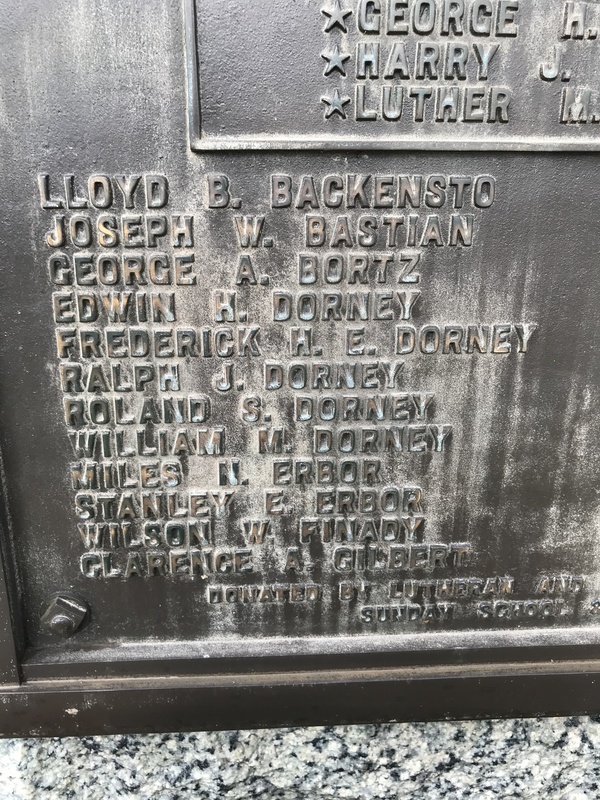 The honor roll includes the names of five men who lost their lives--set off in a box near the top--and 24 others who served.